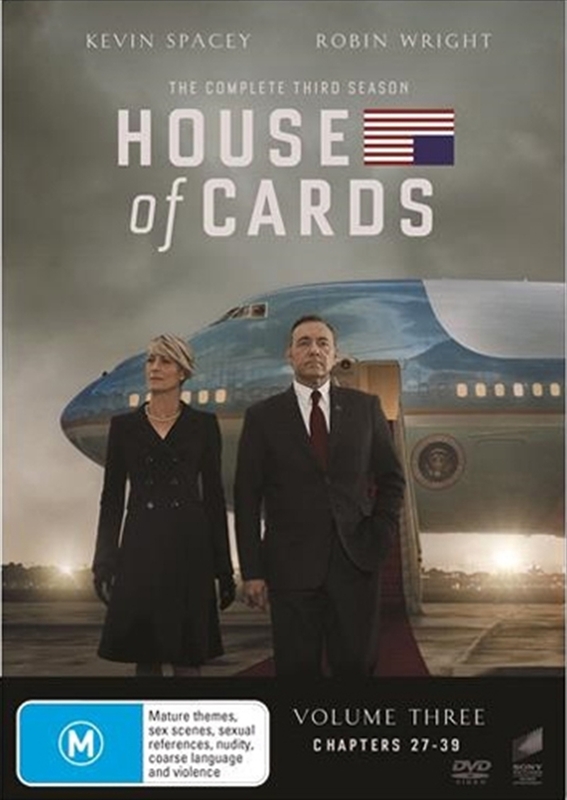 This Emmy-winning original thriller series stars Golden Globe winner Kevin Spacey as ruthless, cunning Congressman Francis Underwood, who will stop at nothing to conquer the halls of power in Washington D.C. His secret weapon: his gorgeous, ambitious, and equally conniving wife Claire (Golden Globe winner Robin Wright). In Season 3 it's a rocky start for the Underwood Presidency, Frank wants to introduce an ambitious jobs program, while Claire sets her sights on the United Nations. With increasing pressure from his own party and a tense Russian partnership the Underwoods must continue their ruthless strategies to remain at the top.